The Icon fractional laser works by delivering intense pulsed light to the tissue below your skin, without damaging the surface of your skin. After the target is heated up and destroyed, your body naturally disposes of the cells or particles through your lymphatic system. The laser also creates a mild healing response in your skin, including increased collagen production, which leads to healthier, smoother skin. If you’ve got a skin problem that isn’t listed above, ask Dr. Chao whether Icon can help. When will I see results from my Icon treatment? No matter what aesthetic concern you’re addressing, the laser treatment generates the same elimination and healing responses across the board. Typically, you’ll see some results immediately, but the best results are seen 1-3 months after treatment, once your body has processed and flushed out the old tissue and the full effects of increased collagen production are realized. The Icon laser treatment is noninvasive and considered safe. In fact, Dr. Chao performs the treatments in her office and you’re free to return to your daily routine straight away. You may experience some redness at the site of the treatment, but this resolves itself in a day or two. How many Icon treatments do I need? It’s hard to say how many treatments you’ll need, as each case and each person is different. 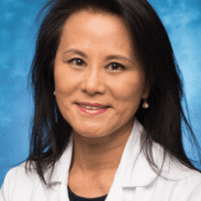 During your initial consultation, Dr. Chao sits down with you to review the problem and your goals, and comes up with a treatment plan and timeline. To learn what Dr. Chao and the Icon laser system can do for you, call her office or book an appointment online.